Niki Walker is the Sr. Director of Customer Experience at Agilix Labs. 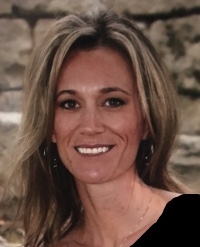 Her 16 years of educational experience spans from classroom teaching to strategic implementation of blended, online, and mastery-based models at the district and organizational levels. She spent 6 years as the Blended Learning Program manager for the Idaho Digital Learning Academy. I knew at an early age I wanted to be in education and make a difference in reaching as many students as possible. My passion is not only for the activity of teaching, but also for the ends it serves. Great teachers have humility in knowing that they serve a purpose larger than themselves. What the best teachers ultimately give to their students is the ability to make their own way forward. As I began my journey into the world of educational technology and blended learning I saw the difference it makes for teachers and student in not only global awareness, 21st century skills, but how to adapt to the ever changing world. My passion stems from being a life long learner and helping others be the same. My children will forever be my hobby and only second to that are the things I love to do with them. Some of our favorite things are camping, hiking, fishing, skiing, playing basketball, volleyball, and anything else that gets us up and moving.